It’s your home. Don’t let it become your job. Ready for a revolutionary change in the way you maintain your home? Full-Service Home Maintenance for One Flat Fee. 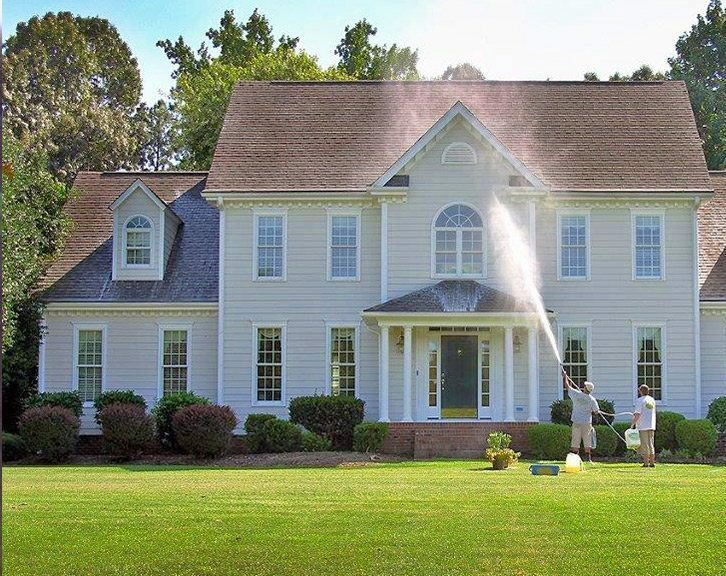 Established in 1999, Fairway Home Detailing is a full-service, membership-based home detailing provider for homeowners in and around Raleigh, NC. We at Fairway believe we’re unique in our services given how few companies “do it all.” However, we also know that many home washing and cleaning companies fail to live up to their promises, wasting customers’ time and money. Though Fairway offers a range of services in its membership program, we actually specialize in each service category and have been an Angie’s List Super Service award winner every year since 2008. The team at Fairway Home Detailing is made up of trusted experts and friendly faces. We know your time is important to you, so we strive to always be thinking a step ahead when it comes to the service you need. We’re ready and able to help you knock out that to-do list so you can enjoy your home. Click a point on the map to see what our satisfied customers have to say!